I have been involved with building homes and home additions since I was a teenager, which I hate to say was many years ago. I started out helping my father build home additions onto a couple of our old homes, and then eventually helping him building several of his own new homes. Needless to say, when I got out of college and bought my first home, I chose to buy an unfinished home. Not only was it a chance to save a few dollars, but it also gave me the chance to build my own home, or at least finish it. As time went on I bought another unfinished home and repeated the process again. Later on, I bought a tear down home and acted as my own general contractor in the building of my own custom home. I’ve also built several other home additions since then. 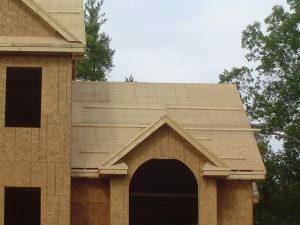 To build your own home, the most important piece of advice I can offer to anyone contemplating such a large endeavor is to be prepared before actually starting construction. 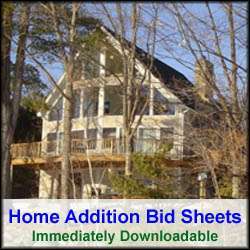 Preparation for building your own home means doing a lot of investigative homework on learning how to manage and plan a major home construction project. The success or failure of building your own home will ultimately rest on your attention to details and proper planning. Planning to build your own home also requires working with an architect to generate blueprints. Planning also requires meeting with your local building inspector for blueprint reviews and approval, and for pulling building permits. Also, if you plan to actually frame and construct your own home I would advise you to seriously think twice about this unless you have personal home construction experience. Contrary to what many people think about home builders and construction workers, there is a high amount of skill required in building a home. In addition, it involves a great deal of strength and stamina. Literally building your own home requires a combination of skill and brawn. Also, working outdoors in hot or cold weather can take a tremendous toll on the human body. So think twice about actually framing your own home, unless you have personal experience and fully understand what you are signing up for. Regardless if you plan to actually frame and build your own home, you will still need to hire and schedule various subcontractors for doing such tasks as electrical, plumbing, insulation, HVAC, drywall, painting, cabinetry installation, etc. Even if you possess the specific skills to do electrical and plumbing work, many local governments will only let licensed contractors in their respective fields actually perform the work. Finding the right subcontractors can be a real challenge. It is important to put your various project tasks out for bid and to thoroughly review and understand each bid before accepting any. When developing your home building plans include a detailed schedule that you can manage daily. Preferably use a software based tool so that you can easily make changes and to track dependencies. This way when one phase of building your own home slips, you can see how it impacts the other phases of the project. This type of information can help you fine tune the scheduling of your contractors and know when to give them a heads up that they are on deck to perform their work. In addition to developing a thorough schedule, also generate a detailed cost break out for each phase of the home construction project. Make sure there are subtotals for each section, e.g. foundation, framing, doors & windows, electrical, plumbing, etc. Also break out labor and material costs separately for each section. Make sure that every material used is listed, described, and costed out down to the screw level. Leave no item out of your cost breakdown sheet if you really want to understand what your total costs are and how to properly manage them during the building of your own home. If financing is required, the generation of the blueprints, schedules and cost breakdown spreadsheets will play a pivotal role in acquiring the necessary construction funds. Every bank requires this level of detail before providing a construction loan. To summarize, to build your own home takes a massive amount of preparation, planning and energy and therefore should not be considered lightly. If you are a person who pays attention to details, has the ability to work with independent construction workers, and has the physical strength and passion to take on such an adventure, then go for it. Otherwise, contact a general contractor and let him manage the building of your home.